A group of words which makes complete sense is a sentence. 1. Birds fly in the sky. 2. It is a good college in our city. 3. The children of that college wear blue uniform. 4. My teacher explains English very well. 5. This intelligent girl has passed her examination. 6. The president of India has awarded him a gold medal. Here are some sentences divided into the two parts. 2. Mohan is an engineer. 4. This intelligent girl has passed her examination. 5. The president of India has awarded him a gold medal. 6. My teacher explains French innovatively. 7. My sons plays chess regularly at home with their mother. 8. Some people argue what they speak is right. **The words underlined in part A are Subject words and those underlined in part B are Verbs. **The subject is a Noun or a Pronoun with or without other words going with it. **The Predicate is the verb with or without other words going with it [other words may be object. Complement, adverb, phrase, etc]. **The subject of the sentence usually comes first yet occasionally the predicate precedes with the subject. *Down went the Royal Francis. Underline the subject parts in the following sentences. 1. The train had arrived late. 2. He was the captain of the team. 3. She was the best dancer in the city. 4. The Prime Minister with all his Cabinet members submitted his resignation to the President. 5. Birds of the same feather flock together. Underline the predicate parts in the following sentences below. 1. The secretary and the members of the club have been discussing the issue two days. 2. planes fly over my house frequently. 3. The school is equipped with new furniture. 4. They are shortly moving out of their house. 5. He is suffering from fever. 1. There is a beautiful statue in front of my house. 2. He has been playing since morning. 3. There is a phone call for your friend. The words which underlined in these sentences are not real subjects. They are said to be grammatical or dummy subjects. 1. Here come my friends and their parents. 2. There go the principal and the members of the non-teaching staff. 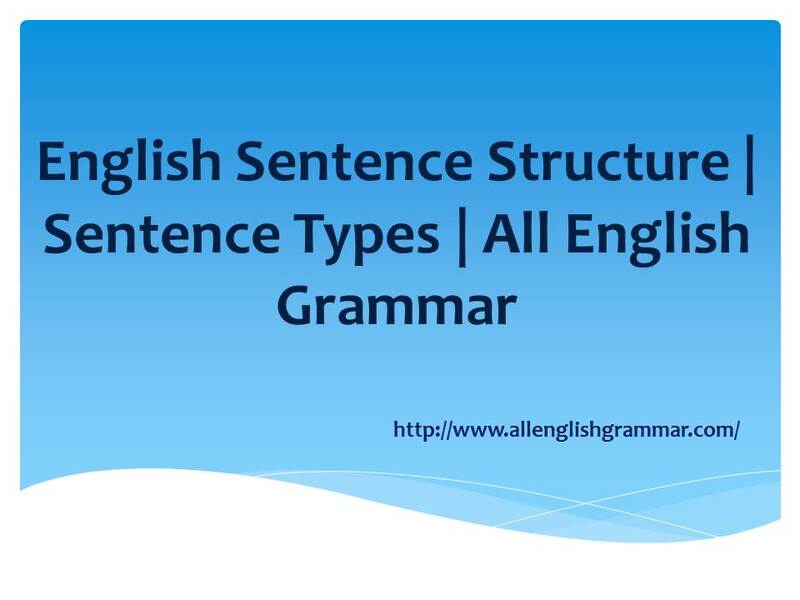 In these sentences you notice that the predicate part precedes the subject part so this is called S.P and P.P inversion. This construction is allowed in Standard English. This is used for emphasis.